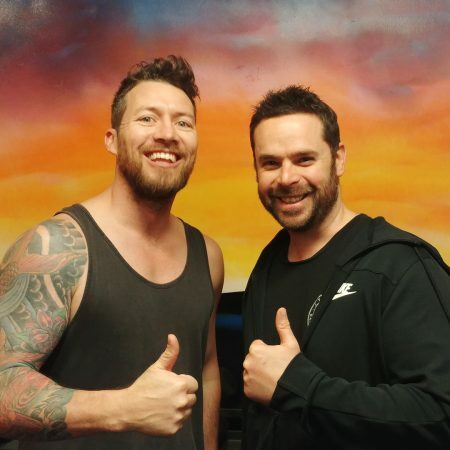 “I’ve had intermittent lower back pain for 15 years and started seeing Brian because my meditation sitting was causing my lower back pain to flare. Brian quickly identified the core issues creating the symptoms and taught me simple exercises which have had immediate tangible benefits. When I am disciplined and doing the exercises, I feel my entire core and posture respond within days. When I am un-disciplined, I’m able to understand what is happening within my body and why, and am able to mitigate the damage I’m doing. Simply having knowledge communicated in plain English goes a long way to easing my anxiety around the discomfort, and knowing that rehabilitation is not far away with several basic exercises provides valuable peace of mind. Completely unrelated to my back pain is a shoulder injury for which I’ve had several surgeries, and had long ago given up hope of finding reprieve from pain and discomfort. Within two weeks of seeing Brian, my shoulder pain had completely dissipated – This is something that had not been achieved after countless visits with a litany of doctors, physios, chrios, orthopaedic surgeons, sports specialists, etc. Even more surprising is just how simple it has been to ‘repair’ the issue, and without any confusing jargon – Brian has never mentioned acromioclavicular or glenohumeral joints, or any other confusing BS.